In a full assessment for NHS Continuing Healthcare 12 care ‘domains’ are assessed. These domains are essentially different aspects of health – and each is given a score. 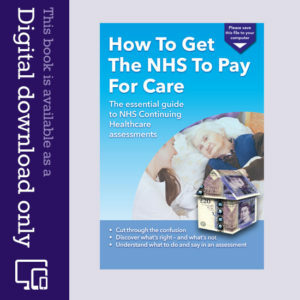 The combined score from all 12 domains determines whether or not someone is granted full NHS funding to cover all care fees. However, many assessments look at only 11 domains, and the 12th is overlooked. NHS Continuing Healthcare is the full NHS funding that covers 100% of care fees for someone needing full time care primarily for health reasons. The assessed domains include: 1) Behaviour; 2) Cognition; 3) Psychological/Emotional Needs; 4) Communication; 5) Mobility; 6) Nutrition; 7) Continence; 8) Skin Integrity; 9) Breathing; 10) Drugs/Symptom Control; 11) Altered States of Consciousness… and 12) ‘Other’. It’s this 12th ‘Other’ domain that almost always gets forgotten or overlooked by assessors, and yet for the person being assessed it can sometimes make the difference between securing full funding or not. And without full funding you’re at risk of losing your home to pay for care. The guidelines state that the Other domain should be used to record health and care needs that don’t fall into the 11 preceding categories. Most Continuing Care assessment notes are hand-written – however, this does not mean that assessors can simply use the page labelled ‘Other’ at the back of the assessment notes as additional space for notes that couldn’t be squeezed into the previous pages. The health needs recorded in the Other domain should be considered carefully and given a legitimate score that counts towards the final outcome. This score could be Low, Moderate, High or Severe – and a score of High or Severe in particular in this 12th domain can tip the balance into eligibility for full funding. There are no set criteria for the scoring in this domain and the interpretation of it is wholly subjective on the part of NHS assessors. That’s why it’s vital for families to be alert to its existence and to put forward any evidence of health and care needs that fit into this domain. So always check that 12 (not 11) domains have been assessed and completed in any full assessment for Continuing Care funding. 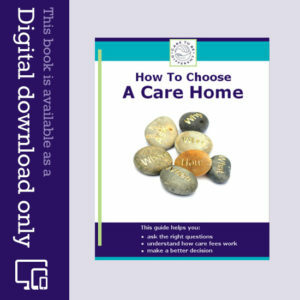 Firstly, thank you so much for providing this wonderful resource which I am finding most helpful in preparing a case for CHC for my father. I would welcome any observation on the following issue related to Domain 12. My father has multiple health needs ranging from vascular dementia, limited lower body mobility following a stroke and partial hip replacement, incontinence resulting in a catheter, skin issues through psoriasis, limited hearing and eyesight and so forth. My question is that the cumulative impact of all of these healthcare needs interact and result in what I suggest is a very complex primary care need. This impact doesn’t actually sit under any one domain of the DST easily, as its the cumulative effect which is a health care need in its own right in my view. Do you believe this argument to be valid and therefore a legitimate inclusion for Domain 12? I would imagine that this situation would be a rather common phenomena for many elderly people with multiple health needs but don’t see that its been included in the advice note above. Additionally, if I were to make reference to your observations and advice within an CHC assessment (even cut and paste observations into a hard copy document to share at the meeting) how is it likely to be received? I would like to be as prepared as I can! The DST assessment is next Tuesday by the way. Thanks for your very kind words, Dave. I’m glad the website is helpful. The 12th domain is really for additional specific needs that don’t fall naturally into the other 11 domains. The whole issue of how needs interact and how complex they are is generally looked at in the ‘Nature, Intensity, Complexity and Unpredictability’ part of the assessment. See page 49 of the Decision Support Tool: https://www.gov.uk/government/uploads/system/uploads/attachment_data/file/213139/Decision-Support-Tool-for-NHS-Continuing-Healthcare.pdf Note the paragraph that says: “Each of these characteristics may, in combination OR ALONE, demonstrate a primary health need, because of the quality and/or quantity of care required to meet the individual’s needs.” i.e. needs do not have to be complex AND intense AND unpredictable; just one characteristic may be enough. Remember also that where there is interaction between specific care needs, this must be noted in every relevant domain. One of the best ways to make your point and argue your case is to point to the assessors’ own guidelines in all this. What happened Dave> I am about to undergo the same process in 10 days….